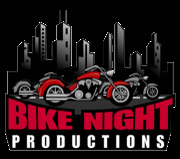 Bike Night Productions is a gathering of the North Central Florida biking community. The Bike Nights are year round and occur at various venues in Gainesville, High Springs, Lake City, and Ocala. If you own an eating and drinking establishment and are interested in hosting a Bike Night, send a message to Mike by using the Contact link to the left.